Gifts for the Celebrity Obsessed! Sorry I have not posted an update this weekend to my Holiday Gift Guide. Painting pouts pretty …my work got in the way. Madonna’s got a beauty secret! I found this product in the press,then found it at a spa in Jacksonville,Florida named Soluna Yoga and Spa to me it is truly unique and a lovely skin care line! It is one of Madonna’s favourite beauty secrets. Madonna has gorgeous skin and has managed to maintain glowing skin because she avoids going in the sun. 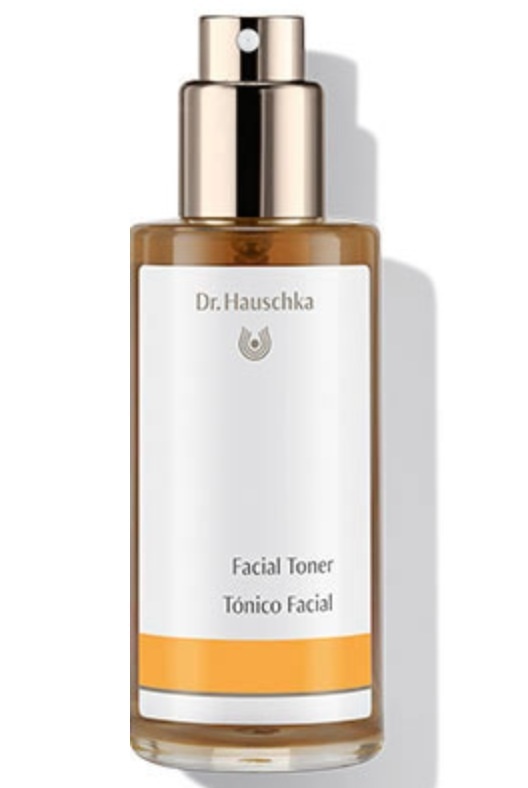 Madonna has a favorite moisturizer known as Dr Hauschka Rose Day Cream. You know I shared it in a previous blog post and on TV …JLo loves this cream too and has been using it for years.This creams a super hero that contains extracts of rose petals,rose hip,avocado that rejuvenate the skin and help to maintain a hydrated dewy look! It SMELLS and FEELS awesome too. Madonna also nourishes her skin by using a face mist known as Dr Hauschka facial Toner which refreshes and rebalances the face during the entire day .It contains witch hazel and healing herbal extracts, such as anthyllis.Used after cleansing and before moisturizer it also helps minimize the appearance of larger pores,controlling an oily look as well. Your skin will look radiant. The Facial Toner is used after cleansing to support the skin’s natural processes of renewal, minimizing the appearance of pores, balancing moisture and oil content, and leaving skin looking and feeling healthy, toned and radiant. Skin Condition: For normal, dry and sensitive skin. And as an after shave spray for men. I had an awesome facial treatment with this product line and was intrigued with the esthetician DARCY’s signature FACIAL style. Time to renew,dejunk and relax your skin and body after a long hot summer too. You too can look and feel like a celebrity and your skin look and feel radiant too! “WOW” Brows in Beverly Hills! The King of eyebrows that is! Damone Roberts in Beverly Hills. While working and playing in California I decided to book an appointment with Damone after a delicious lunch at the one and only Nate n’ Al’s Deli. I have heard about and seen Damone’s work in magazines, seen him perform his magic on stage and have watched him on TV. I like the way my stylist does my brows BUT wanted to see what he had to offer as well as see his beauty studio. I booked an appointment the morning of the day I could go and HE had an opening five hours later the staff told me that was unheard of, as he is so booked. Once in this small studio, I felt an immediate Zen like calm. The décor lured me in and took me to another place. The shades of browns, gold and mirror accents created the loveliest ambiance. Candles burning and what I call “pretty lights” (lighting that brings out the best in your face) surrounded me. Hip vibe music was playing and the staff welcomed me as soon as I entered Damone’s haven. He had other brow experts who were working on clients and were stunning and with perfect brows of course! As I waited a few minutes, I was offered some cucumber infused spa water. There were walls lined with Celebrities and magazine covers autographed to Damone. Madonna, Beyonce, Megan Fox, Robert Downey JR., Vanessa Williams, Mandy Moore, Gwyneth Paltrow to name a few. I noticed a flat screen TV and watched of course Damone and what he does best on the screen. I then used the powder room and what did I find. A golden glowing bathroom lit with a candle and oh so much more! When I went to touch up my lipstick there were “walls of Love” all around me. Sharpie marker adoration and love notes from Celebrities he makes gorgeous! Right in front of my eyes was a heart with Actress Megan Fox and a love note to Damone. I so wanted to be on that wall. Kiss that wall with my lips and tell him something wonderful too. However, I had not yet had my brows mastered. So, I went back and sat down and a few seconds later this handsome, light caramel FLAWLESS skin and the shiniest, healthiest, long lush locks I have ever saw on ANYONE! (Male or female.) Came to greet me…it was my golden moment! He shook my hand and showed me over to his domain. A chocolate colored chair with a silky dark bronze flat pillow. As I lay down, he moved my bangs, started the consult, examined what my brows look like, and assessed what he needed to do. I felt like I was talking to an old friend. He offered me a chance to tell him what I do and use to groom and tint my brows. I told him and he silently went to work. Gently, soft spoken and effective. I barley felt a thing…no pain and so relaxing. Unheard of right? As he spoke to me and asked me how long was I married, what is my husbands name and what brings me to LA…I soon realized. It is NOT ALL ABOUT HIM, an ego, and his famous clientele… It’s all about ME! He complimented me on my haircut and necklace. He also explained to me because I am an exotic mix of Polish and Chinese descent that my brows were very sparse and they appear to grow straight across. He professionally recommended I use a brow shadow not a pencil or gel. Now, let’s go back a bit. Every time he moved his wrists, arms. Face towards me there was the most intoxicating scent coming from him. Not too much …just right. I had to stop and ask him what might it be. He shared with me it might be his signature scented candles that light up his studio. Or he said it might be something he is testing and wearing a fragrance prototype that he plans to come out with and best of all its going to be unisex. Oh, it is working and he was working it without even trying. He smelled so delicious!!! He filled my brows with a natural taupe color and added a little magic eyeliner that is like an instant lift…especially for jet lagged me. It was a product called Pink-A-BOO. Addicted instantly even though I have a candy shoppe of beauty. I had nothing like this. I had to own it. He handed me a mirror to see his masterpiece and then sat me up to view it in the mirror. Forty-six blissful minutes later NO REDNESS nor sticky streaks around my eyes…sadly our time was over. I was so excited about buying the eye pencil…he had offered to take a picture together and I forgot to do it. His next client had arrived and I was afraid to bother them. Make Damone Roberts your “Bucket List” for beauty!!! I cannot wait to see him again my next visit in LA or in his studio back home in the best apple to bite into NYC!